The egg tray mould is a important part of egg tray forming machine. The perfect coordination of mould and forming machine can guarantee the stable running of egg tray machine. Firstly, before installing egg tray mould, you should clean its surface. Secondly, you should adjust the position of egg tray mould. Put them on the appropriate position. 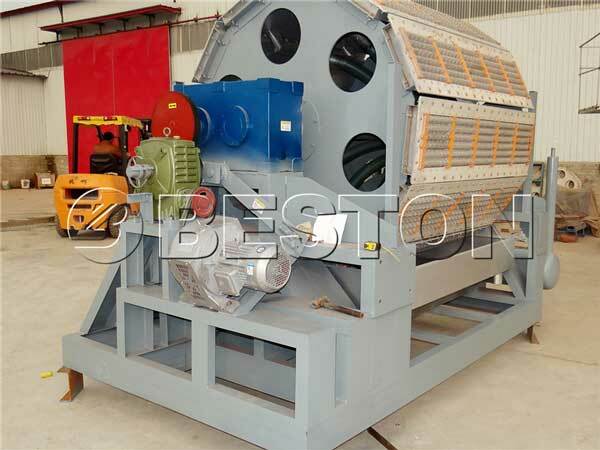 Thirdly, during running process, it is easy to get some paper pulp. So, you should clean egg tray mould on time to reduce loss. We are the best one of egg tray machine suppliers. If you want to know more details, contact us. Is Hot Press Machine Important For Egg Tray Machine? How To Judge The Quality Of Egg Tray Making Machine? How To Test and Maintain Egg Tray Machine? How To Distinguish Wet Press And Dry Press During Making Egg Trays Process? What Should You Do When Egg Tray Machine Manufactures Egg Trays? How To Choose Good Quality Egg Tray Machine? How Much Weight Can Paper Egg Tray Support? Please fill in this form as completely as possible so as to enable us give you a prompt reply.